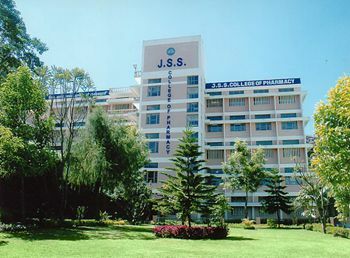 JSS College of Pharmacy was established in 1980 with the object of imparting quality pharmacy education in India. Initially only Diploma course was started and subsequently graduate, postgraduate courses and doctoral courses were added. A Constituent college of JSS University, Mysore. Approved by All India Council of Technical Education, New Delhi. Approved by Pharmacy Council of India, New Delhi. Approved by the Director General, Drugs Controller of India, New Delhi, for conduct of bioavailability and bioequivalence studies.